FCM need configuration provided by developer to notifications configured. 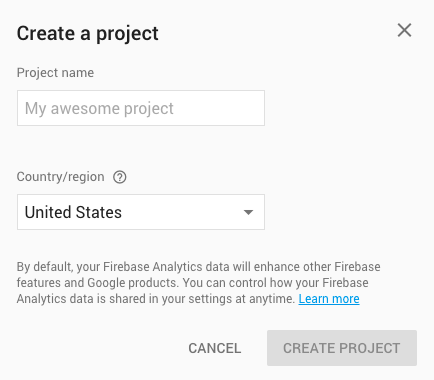 Google provides an easy-to-use Firebase Console to manager Firebase services and configurations. 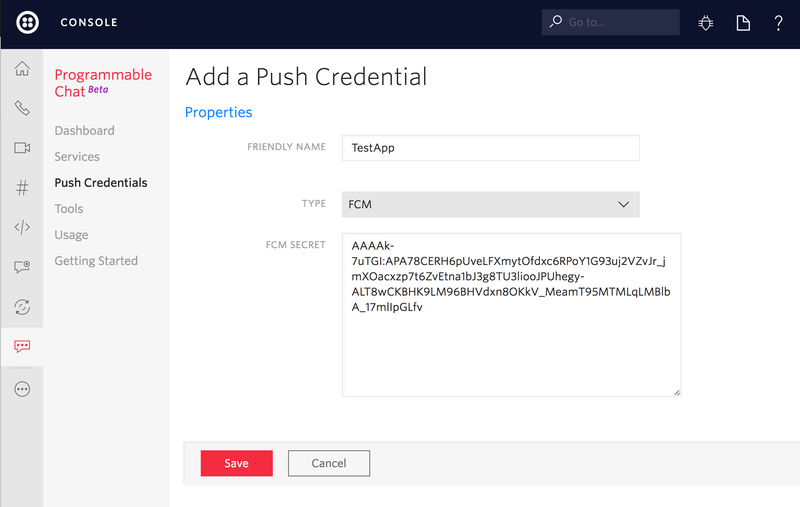 The Firebase Cloud Messaging (FCM) requires configuration to initialize. The Firebase console has an easy way to generate this configuration. Save this sample code with configuration - we will use it later in this guide. Now it's time to initialize the Firebase with sample code we got in Step 2. 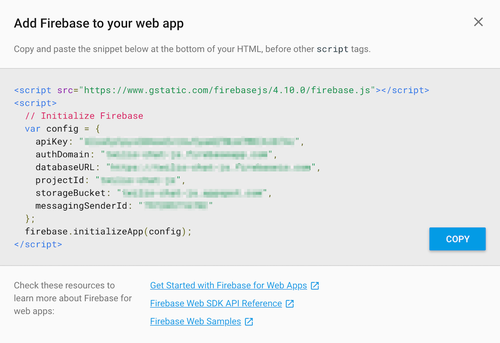 Somewhere in your web app early initialization sequence call the sample code (and do not forget to include/import firebase library provided by Google). We recommend to add additional check for correct import of firebase libraries. If you got to this step, then you have Firebase correctly configured and FCM token ready to be registered with Chat SDK. This step assumes that you have Chat Client created with correct Access Token from Step 4.